I raise AKC registered Chihuahuas, many with multi-Champion backgrounds, and one Champion Female bred by me! Some folks think that chihuahuas are yappy little ankle biters....not so. These little dogs are highly intelligent and loving. They may be small, but don't tell them. They think they can tackle anything. One of my girls went after a 1,000 pound bull moose on my back lawn. Of course, he just stood looking at her. Chihuahuas have been known to live to be 20 years old, so if you are considering purchasing one, I hope you are committed to a long term relationship. I have 5 large grassy playgrounds with carpeted sunning decks and doggie doors so that they can go outside any time they wish. In winter months I cover the kennels so they don't have to contend with snow and ice. When indoors, my girls have the run of the house. The maxi-recliner is their favorite place snuggled up close to me while I type away on my laptop computer. My males each have a pen inside and a long kennel run outside. My girls are crate trained. They eat and sleep in their crates... and sometimes just curl up in a crate and take a nap, it's their little den space and they like it. There is quite a big difference in crates and cages! Check out our photos and do come visit! I am sure you will fall in love with this wonderful breed too. Some of the YankeeBelle's on a relaxed afternoon! My dogs are great alarms when someone knocks at the door, rings the doorbell, or sometimes just when a car door closes in my driveway (grin). They can sound intimidating when you first come in. But rest assured, they are friendly and just anxious to meet you! If you will walk through my kitchen and come into the living room and sit down, they will quiet right down and want to get in your lap in a minute or two. 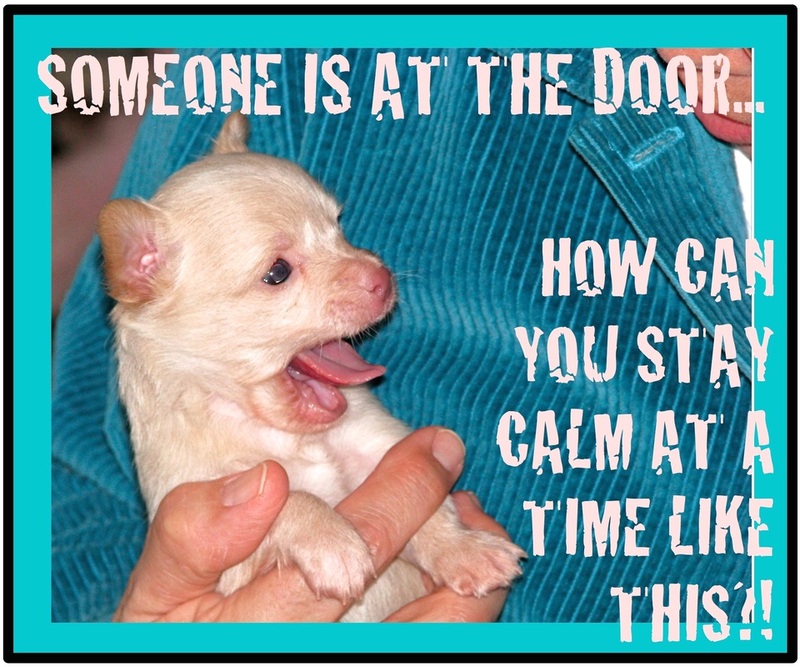 If you remain standing, they will be anxious and will continue to bark (especially the Mamas' protecting their babies).